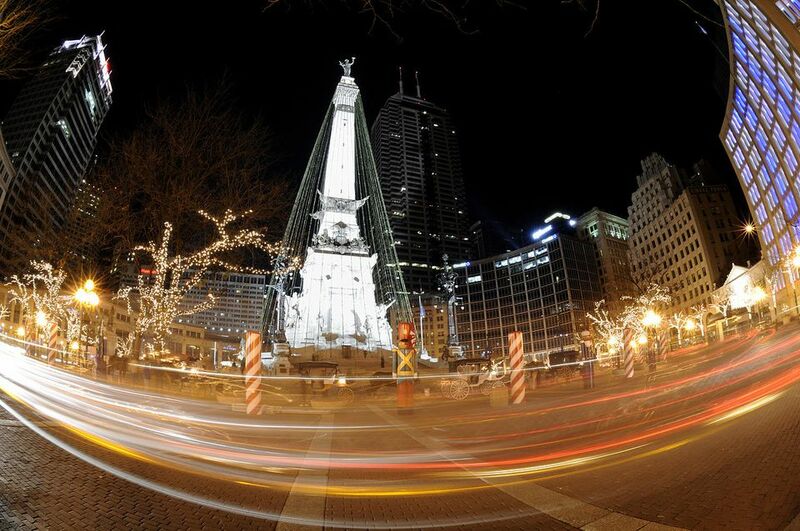 The Indianapolis area will be hopping with holiday events and activities during the month of December. From shows to museums to elaborately decorated mansions and much more, you'll find plenty of ways to celebrate the yuletide season in Indy. The Jolly Days Winter Wonderland runs from November 23, 2018 to January 6, 2019. Kids can make it snow in the Giant Snow Globe and ride down the Yule Slide at the Children's Museum Indianapolis. Meet the Jolly Days characters, from Scrooge to Mrs. Claus, "ice skate" in your socks, explore an ice castle, go “ice fishing” in a pretend pond, “bake” wintertime goodies, take part in a “snowball fight" using soft yarn pom-poms, and have your picture taken with Santa. Walk through a holiday forest at this Indiana History Center event, featuring over 80 elaborately themed trees. The festival includes weekend visits from a vintage Santa, craft-making and more. Bring the kids and grandkids to the Sugarplum Breakfast to meet characters from The Nutcracker, imbibe craft brews at Good Beers and Ugly Sweaters, and channel Ralphie at A Christmas Story Day. At Newfields, November 18, 2018 through January 6, 2019, enjoy Indy’s newest holiday tradition, Winterlights. Guests will stroll the grounds of Newfields as millions of dazzling lights dance through the garden paths and Oldfields-Lilly House lawn. Sip your favorite hot beverage, create s’mores by the fire, and listen to classic holiday tunes. During Christmas at Lilly House, take a short walk through a path lit by holiday light from the Newfields' (formerly Indianapolis Museum of Art) main building to the nearby Oldfields-Lilly House, which is featuring an array of winter bulbs and holiday floral arrangements—poinsettias, amaryllis, cyclamens, and paper-whites. Your olfactory senses will be awakened with the scent of pines, cedar, and spruce. Lighted branches make the house dance with light while each room offers a different experience—from spiraling vertical gardens climbing up the grand staircase to landscaped herbs in the kitchen. The Beef and Boards Dinner Theater has been presenting its annual holiday variety show for about a quarter-century. In addition to plenty of well-performed Christmas classics, the show also features a superb orchestra playing holiday favorites and terrific choreography. Beef and Boards also hosts other Christmas holiday shows during the winter season. At the Bleed Blue Blood Drive and Holiday Fest, taking place annually in December, you can give the gift of life by donating blood and then enjoy the activities. The Indianapolis Colts and Indiana Blood Center invite you to Indy’s largest single-day blood drive, co-sponsored by CBS4, Indiana University Health, ATI Physical Therapy, the Indiana State Department of Health and the 20/20 Institute. The event at Lucas Oil Stadium will include free, family-friendly activities, such as tours of the field and the Colts' locker room, chances to win prizes, and appearances by the Colts cheerleaders and Blue, the official mascot of the Colts.